What better way to live the Florida lifestyle than in the beautiful, simple yet refined condos of Tarpon Woods. Situated in the East Lake sector of the highly desired city of Palm Harbor, Tarpon Woods benefits from both the quiet, nature oriented ambiance of eastern Pinellas County while also remaining very close to the downtown areas of Ozona, Clearwater, and even Tampa! The condos here have 2 bedrooms and 2 full baths, over sized living/dining areas, master bedroom suites with dual sinks, large walk-in closets, magnificent sliding glass doors that provide views of the outside pond and nature areas, and of course a community pool. The condos at Tarpon Woods are also close to great golf courses, top schools in the area, beaches, and of course a whole host of options for eating out and entertainment. Get in contact with us ASAP to find out more about these units - there are plenty of homes on the market now but they will sell fast! 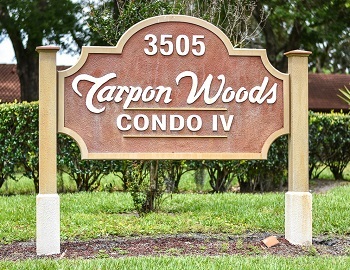 Selling your Condo in Tarpon Woods? Selling your Condo? Call Lipply Real Estate. Our agents have been working through out the Palm Harbor Community since 2002 and we are confident we can help you through a successful sale. Our team uses a strategic marketing plan to get your home listed and sold in an effective manner. Call us today for more information on how to get started or enter your information into the form below.